M just got back yesterday so it's been a long day of catching up, but never fret, we did find time for a pleasant lunch interlude at McNally Jackson earlier today. Every cafe should get themselves a sandwich press or even a toaster. 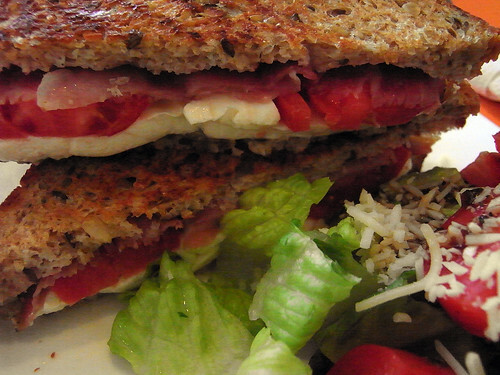 What should be a normal and ordinary sandwich is made so much nicer with warm toasted bread.